My nephew turned 2 earlier this month. I've been wanting to get out and do a photo session with him for his birthday and this week presented the perfect opportunity! His mommy is in Las Vegas for a work related conference so Nana is watching him during the day. Yesterday we picked up a few props, selected his outifts, and decided on a location. 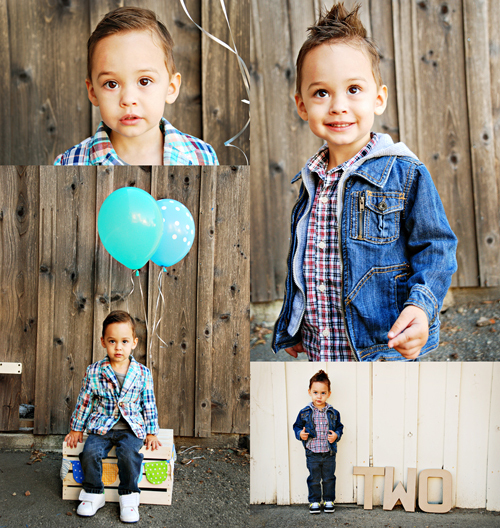 This morning we headed to Old Town Temecula for his mini session. I'm totally partial, but he could not have been any cuter! * I hope you like them, Aimee! Last year I wrote you from clear across the country. Boy, did I miss you! We were apart for a year which is a really long time when you've only had two so far. I was nervous about how things would be between us coming back. We've both grown so much in the last year! The other day I was looking at photos I took of you when you were 6 months old. Time goes by so fast when you're watching children grow. You don't even look like a baby anymore. Sometimes I think you skipped right past toddlerhood and straight to littleboydom. *I may or may not have bribed him with jellybeans but whatever works, right?